The students at All Saints C/W Primary School in Barry are no strangers to using technology in the classroom. So when they gained access to Hwb, the education portal provided by the Welsh government, they were more than ready to try it out. 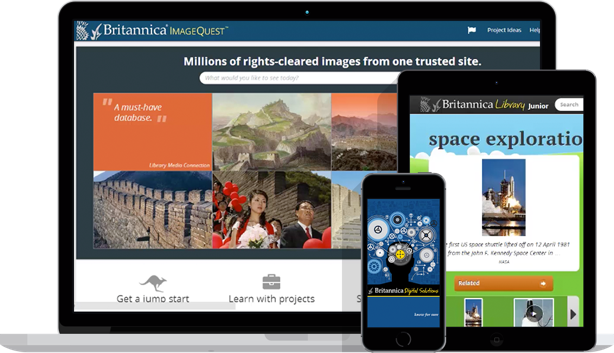 Two of the main elements students use in Hwb is the Britannica School and ImageQuest resources. “It’s more fun than Google and has more things for your age group,” commented Year 5 student Maisie. The use of technology doesn’t stop at All Saints’ school gates – students are expected and encouraged to use it at home as well. 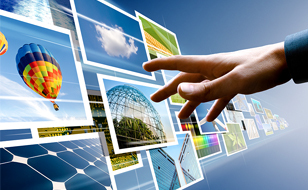 Britannica’s resources help students to complete homework tasks. For teachers, Britannica School is invaluable as well because, “We are not worrying about what they are reading. Some students are moving to the Intermediate level and we don’t have to worry,” said Aled. Student Maisie and her fellow digital leaders also commented frequently on how a search in Britannica through Hwb gave them safe and relevant information. They have learned that Britannica information has been editorially verified, and they recognise that this is an important feature for their school work. “I use Britannica more because if you type something into [another search engine] it’s not always true,” said digital leader and Year 5 student Sofia. These students will outgrow this place. I can start equipping them with independent skills for lifelong learning.